So despite last month’s mysterious rectangle box, Fancy has returned once again to their big square boxes to house just a couple of small items. I have a million cookbooks and not a single one devoted to cocktails, so I was psyched to see this. 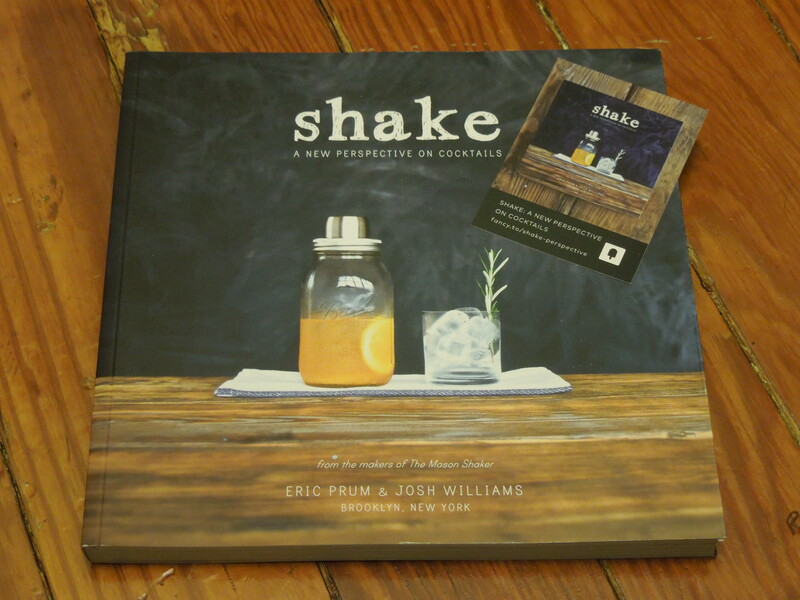 It’s got beautiful pictures on every page and the first section gives you guidance on how to stock a bar. The recipes are broken up seasonally and the emphasis is on including fresh ingredients. As a warning this is a hipster cocktail book so most of the recipes have some unusual ingredients, or liquors that you might not necessarily have lying around your house. This is a great find for folks that want to try something different with their cocktails and love utilizing seasonal ingredients. I’m excited to try out some of these drinks the next time I have friends over. Fancy is really working hard to turn me into an alcoholic. This shaker is roomy enough to make a few cocktails at once and I adore the rustic design. It was the perfect partner for cocktail book and I know I’ll get plenty of use out of it. Now I just need to get myself a bar so I can put all the cocktail paraphernalia Fancy sends me away. 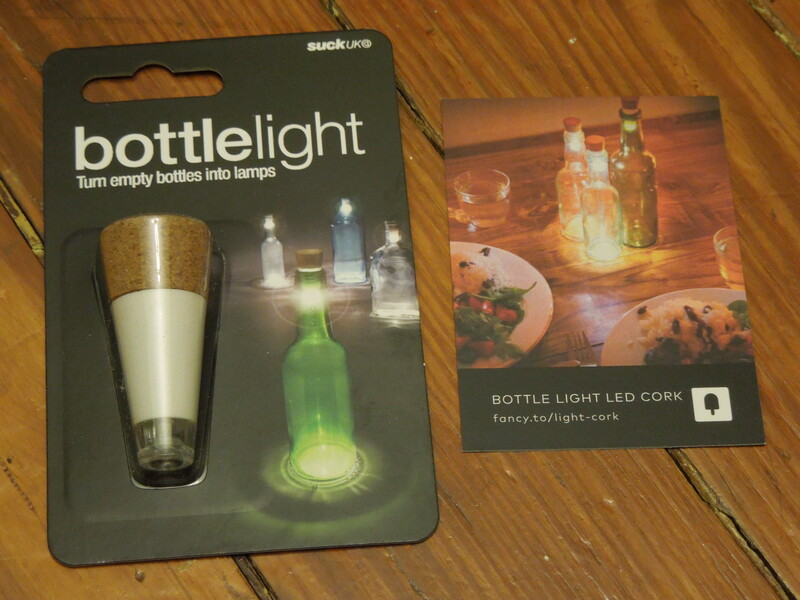 Continuing on the boozy theme we have this little bottle light. I know it’s a little cheesy but I love this thing. I have some really pretty cobalt blue bottles I’ve saved and I think this light will look amazing inside. It’ll be perfect to put on the picnic table for summer barbeques. 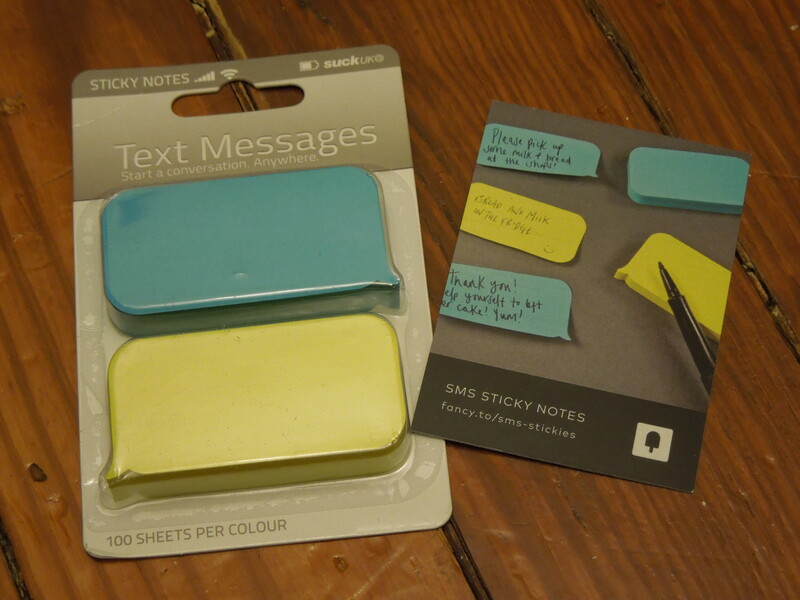 So while I wouldn’t shell out $7.00 for these cute post-it notes, I really like them. 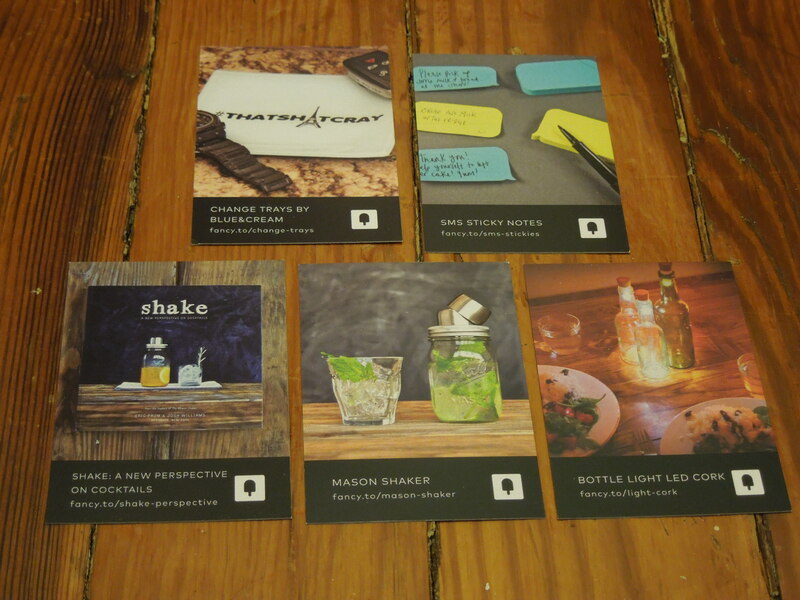 They’ll be perfect for marking up my favorite cookbooks, catalogs and magazines with notes. 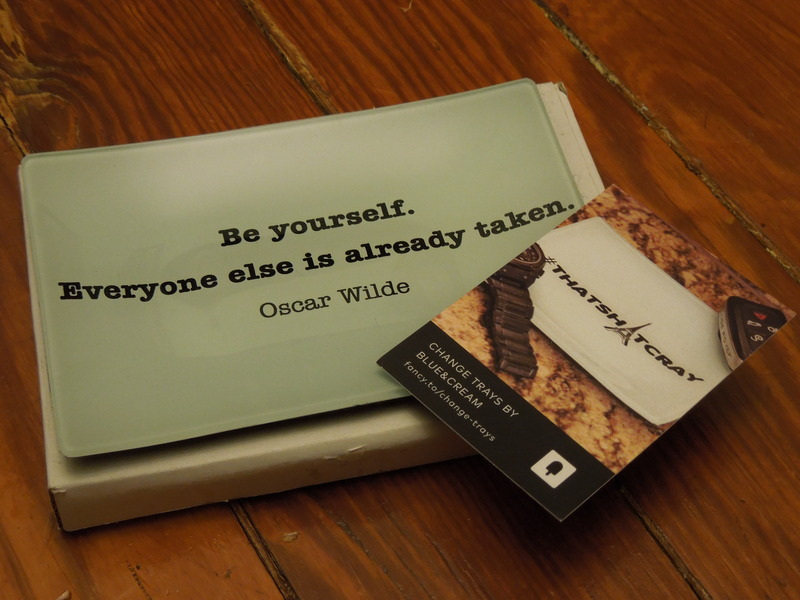 I love quotes and Oscar Wilde (and Oscar Wilde quotes, of course) so I loved this little tray. It can sit on your desk for paper clips, on a bathroom sink for guest soaps, in your living room for candy or on your dresser for jewelry. It’s a really versatile piece and I’m happy I got this particular one. I don’t think it’s worth anything close to $45.00 since it feels a bit on the flimsy side, but it’s a wonderful addition to this box. Fancy has really improved since last month and I really love this box. Including shipping, I paid $46.95 for this box. 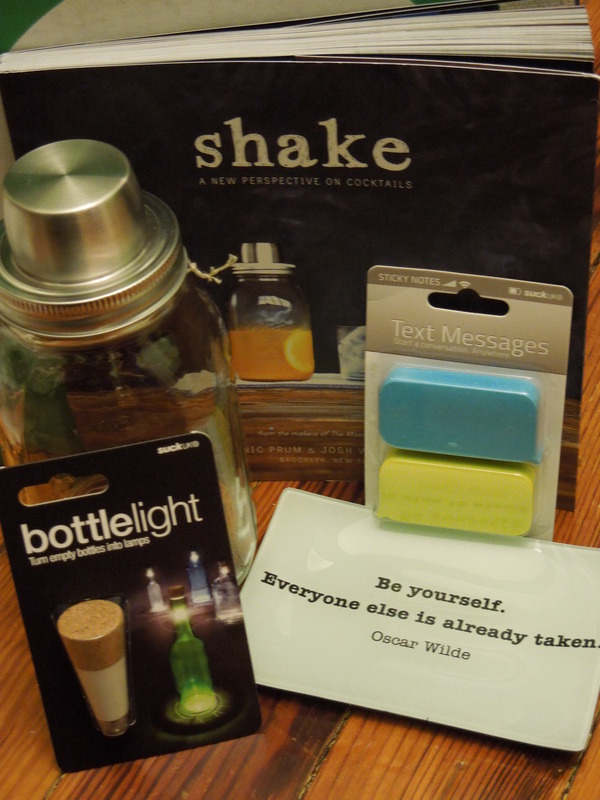 The items I received had an estimated retail of $120.00 and I will use all of them. I think this was a great box for Fancy and the perfect fit for the brand. It features fun quirky items that would appeal to a lot of people and aren’t just things you can order on Amazon. I do think Fancy inflates the retail prices a bit, but for what I paid I think the items were fabulous. Now onto some breaking FANCY NEWS! Fancy has started offering Mystery Boxes! They are only $10 (plus $7.95 in shipping). The two options are Men’s and Women’s. You know I can’t resist a Mystery so I snagged one for myself and will have that review up soon so if you want to see which Fancy mystery shows up at my doorstep, be sure to come back. There are five celebrity curated boxes to choose from. Each box includes $80.00+ of products. Most boxes are geared toward men or women though they do include unisex items. 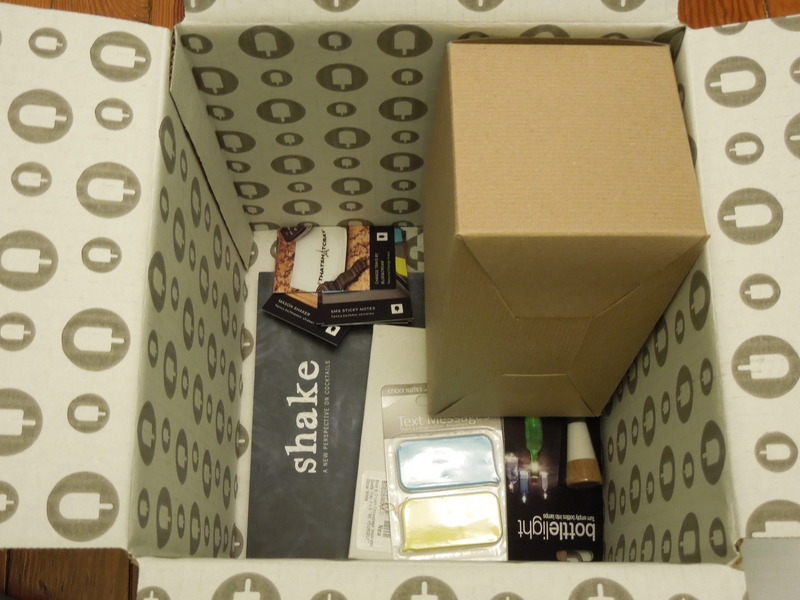 That looks like a great box–I’m always debating doing Fancy instead of PopSugar–this box has me leaning toward Fancy! Or the Coco Rocha Fancy Box. You might want to give the new Mystery box a try. 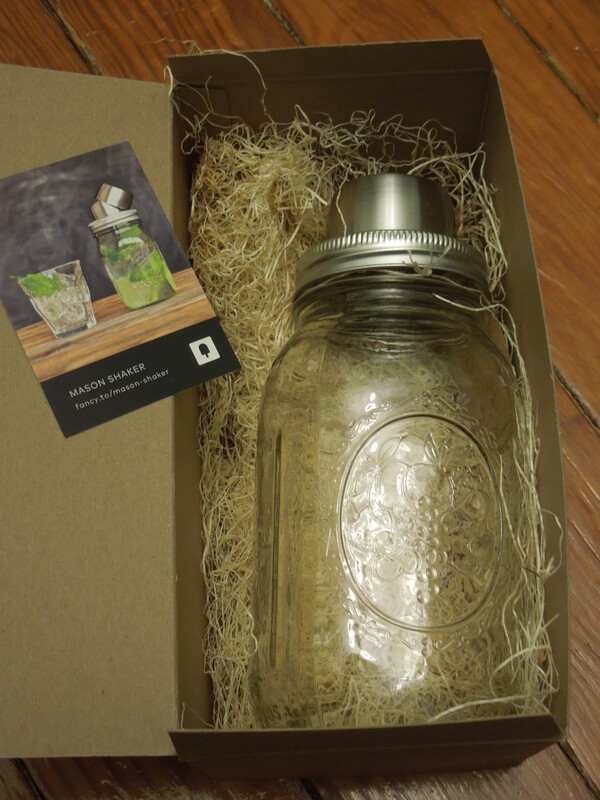 It’s only $10 (plus shipping) and it’s a one time box so you can test the Fancy waters without the commitment. Such a score! I love it when every item is a winner! There’s nothing better than doing the happy box dance. I’m always psyched when I love all the items in a surprise box. I’m still waiting on the Jennifer Love Hewitt Fancy box for this month so I’m crossing my fingers the trend continues! Lovely box! I got near enough the same and agree with all your opinions – especially the change tray – $45 is way overpriced… it claims it is a handcrafted item but mine had a made in china sticker! I’m really hoping next month is more gadget-centric… By the way I think you Maths is off, or at least I don’t understand how you calculated your total, as going off the individual retail prices you quoted the total is $120. Thanks for pointing out the mistake. I keep spreadsheets of these boxes for reference and the formula was leaving out an item. I also love their gadget-oriented boxes the best and I’m hoping we’ll see some more soon. 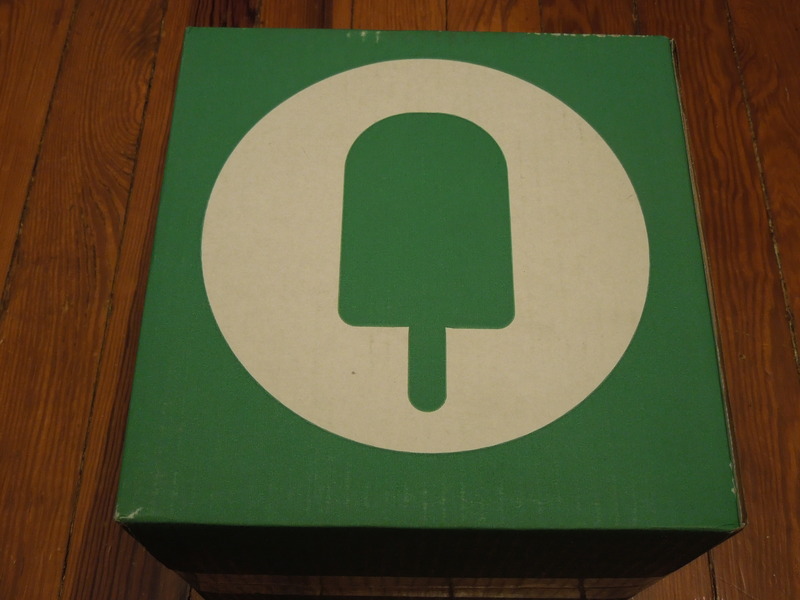 The mystery box is a nice idea to draw people who are on the fence about Fancy boxes. I’m interested to see how many different items are floating around in the various mystery boxes.